Although the Christmas season will soon be over, there are still many more reasons to celebrate the snowy season! I’m excited to announce that I’ve had another party article published in Calgary’s Child Magazine. It’s an Arctic Birthday Party! 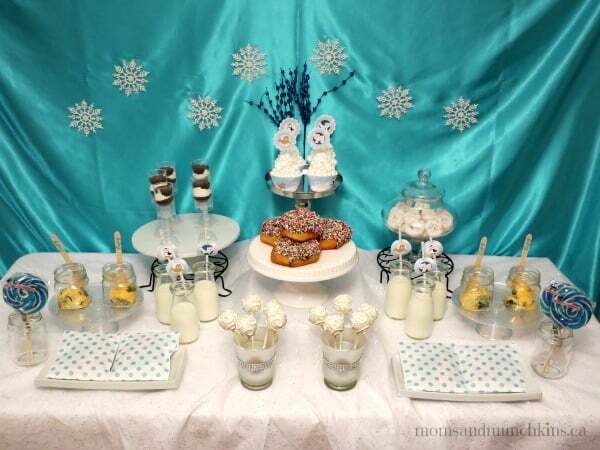 This party is filled snowflakes, fun winter activities and adorable arctic animals. 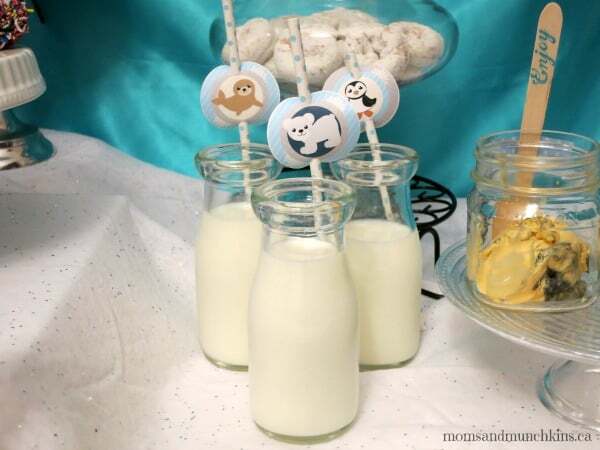 It’s a theme that is perfect for either boys or girls and can easily be adjusted to any age group. In this post, I’ll share all of the party photos along with a short summary of the party. You can read the full article in Calgary’s Child Magazine. 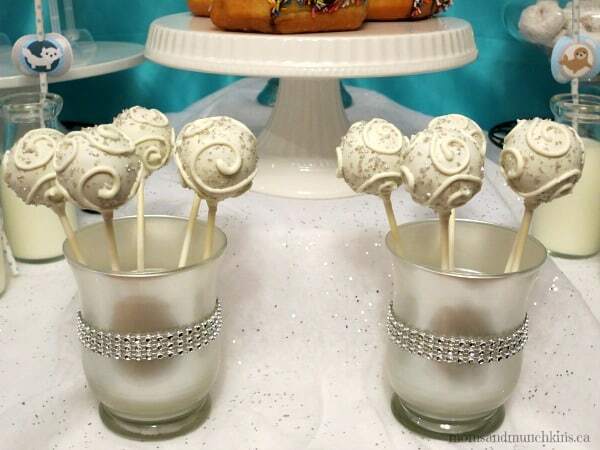 For this party theme I tried to stick with the colors blue, silver and white with a little sparkle. Now would be the perfect time to shop for an Arctic Birthday Party because holiday decorations are on sale! 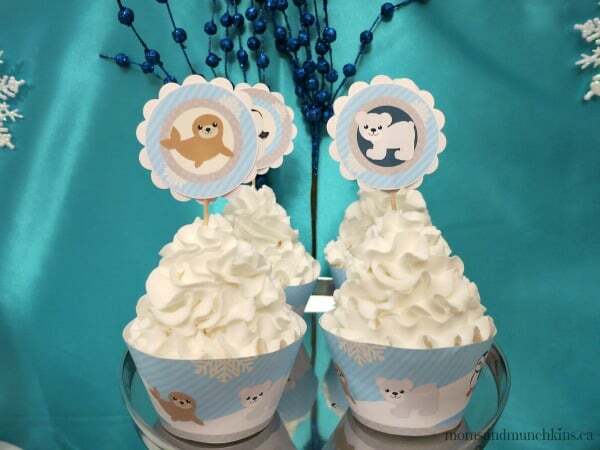 The adorable arctic animal printable party supplies were designed by Leila of A Little Pixel. They feature an arctic fox, a seal, a polar bear, a puffin and plenty of snowy scenery. 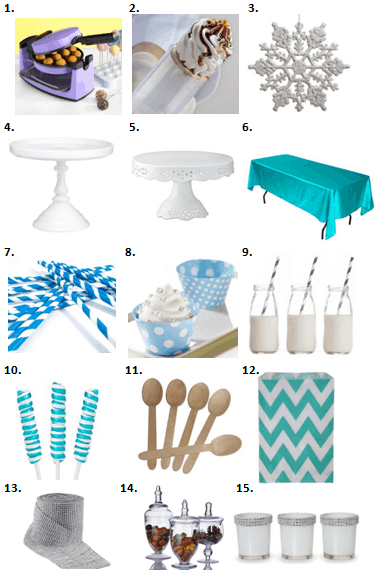 For party backdrops and tablecloths, I often use fabric from a fabric store. I don’t know how to sew (I know – it’s time to learn) but sewing isn’t necessary for a tablecloth or backdrop. There are many colors, textures and patterns to choose from. 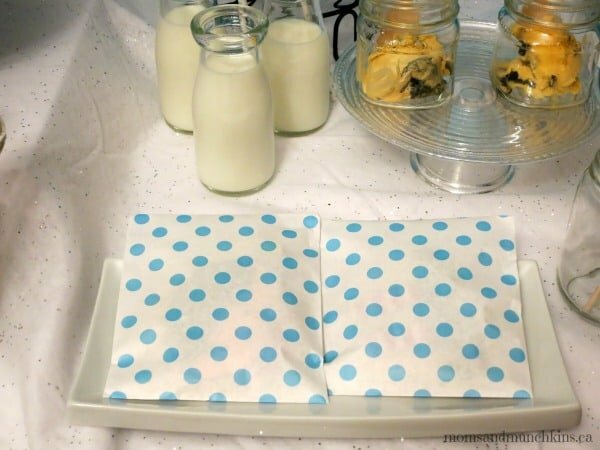 For ice cream treats, you can set these out right before guests are ready to dig in so that it doesn’t melt while waiting to be eaten. 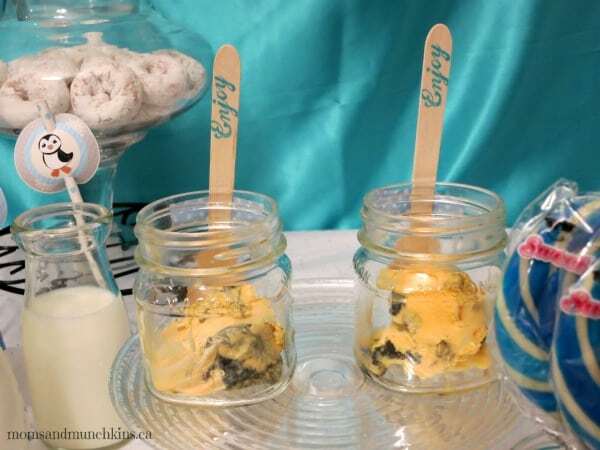 Want to know my secret tip for easy cake push pops? 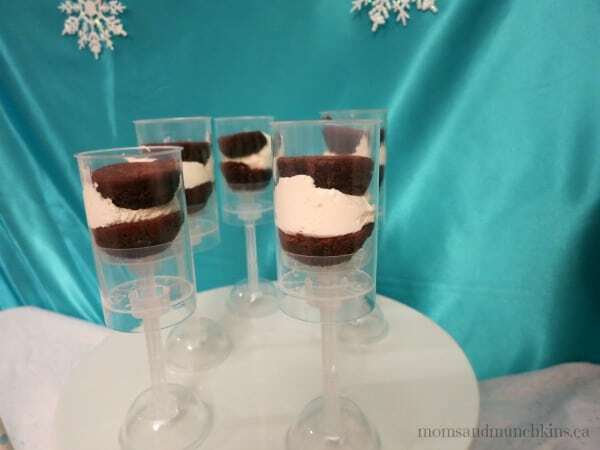 I use those two-bite brownies and a jar of icing. 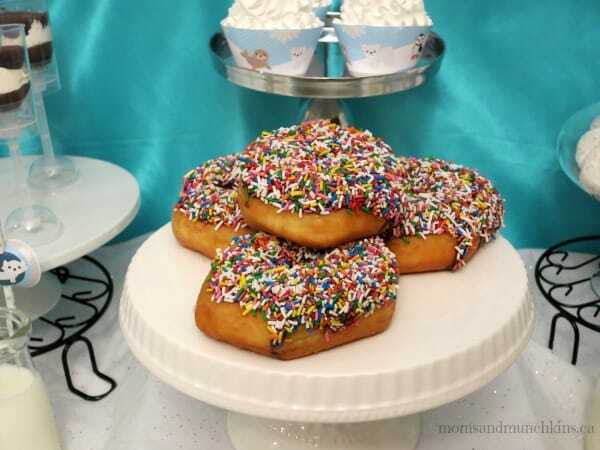 Super simple and totally delicious! 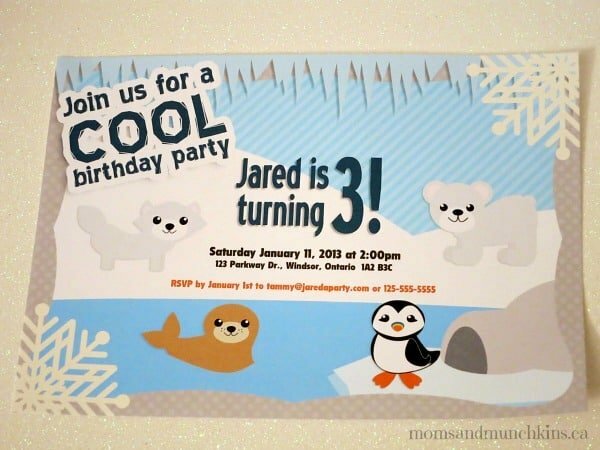 Here are some additional ideas for your arctic animal party. 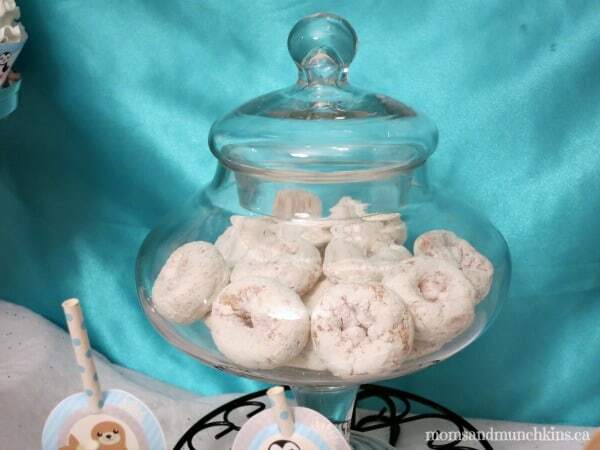 See the Party Vendors section below to see where I purchased the supplies featured in this party. 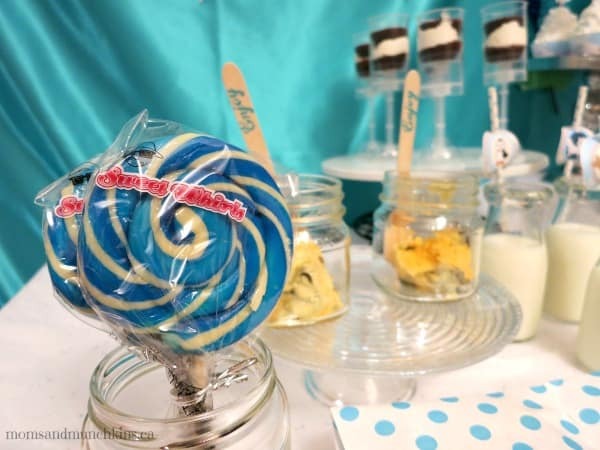 For more party ideas, visit our Birthday Party page. To stay updated on the latest ideas, follow along on Facebook, Twitter, Pinterest and Bloglovin’. Your invitations are adorable! Where did you get them? I hope you have a great party!